We know that HIV can be controlled by an appropriate immune response. Cytotoxic T lymphocytes (CTL) are capable of very effectively suppressing HIV; in fact, in a standard HIV infection, the virus typically spends most of its early phase being controlled by a T cell response. 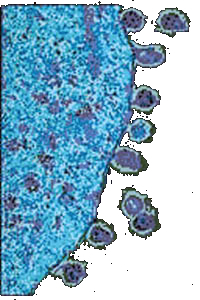 In most people, unfortunately, the control is temporary; since HIV replication is sloppy, the virus throws off mutants at regular intervals, and eventually one of the mutants will be invisible to the dominant CTL response. That mutant replicates rapidly (probably damaging the immune response as it does so) until a new CTL response brings that virus under control, only for other variants to arise again. Some people are apparently able to hold the virus under control for very long periods — the long-term non-progressor HIV patients. Some of these people seem to have T cell responses against part of the virus that has very precise sequence requirements; if the virus mutates away from CTL recognition, the virus is crippled and can’t replicate effectively. 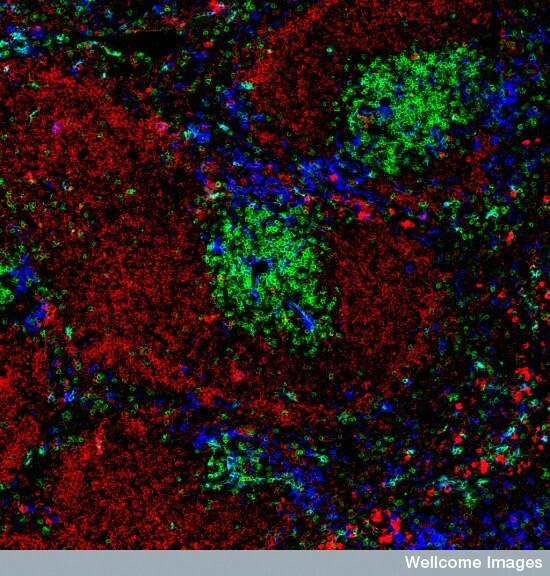 Other people seem to have a broad T cell response, one that recognizes several parts of the virus at once. The odds of successfully mutating all of the targeted areas simultaneously are exponentially lower than of mutating a single region. Obviously, either of these are states that vaccine designers want as outcomes. That’s not all that easy. People are variable, and there don’t seem to be general rules that you can use to force an immune response to the target of one’s choice. 1 Wouldn’t it be nice if there was a way of bypassing the whole messy immunization step, and just moving straight on to the desired finale of CTL specific for the target of one’s choice? A paper in the March ’08 issue of Journal of Virology2 does just that. When you induce T cell-mediated immunity, whether through a vaccine or a real infection, what you’re actually doing is expanding a pool of T cells whose receptor recognizes your special antigen. There are a huge number of potential T cell receptors (TcRs); under normal conditions, any particular antigenic target might have only 20 or 100 T cells that can recognize it, scattered among the millions of T cells with irrelevant specificities. Once a T cell finds its antigen, though,3 that T cell clone divided and expands enormously, as much as 100,000 times. The next time that antigen rides through town, it finds hundreds of sheriffs awaiting it, not just one or two. Joseph et al. tried this with a TcR specific for a HIV antigen. They swapped this known TcR into ordinary generic T cells from a normal blood donor, and turned those boring old plain T cells into CTL that specifically killed HIV-infected cells. Another question I have is whether the original TcRs might cause mischief — if the T cell has two TcRs, stimulation through one might lead to reactivity with the other, and if the other, original, TcR happens to react with a self antigen you might get the mother of all autoimmune diseases. So my guess is that this is mostly a cute idea that will never go anywhere (for HIV; I think it has much more potential in tumor treatment). Still, it really is a neat concept, and I hope some of my questions get addressed.